The Aprilia bikes are very famous among its customers due to their best performance and unique look. The new Shiver 900 MY2017 Aprilia Naked Bike is another impressive motorcycle featuring the powerful 900 V-twin engine capable of delivering the massive amount of torque and acceleration. The new aggressive look makes it even more interesting while the quality components ensure the greater riding satisfaction without the ease and comfort. The chassis is a result of beautiful architecture and the seat design is mainly focused to achieve the comfortable riding position. This Shiver naked bike has an excellent history and its review with pictures and specifications are given below. The new Shiver 900 MY2017 Aprilia Naked Bike features the latest technology available to ensure an incredible performance of all times. The latest 900cc V-Twin engine delivers the maximum torque at any rpm at the top levels for its category. 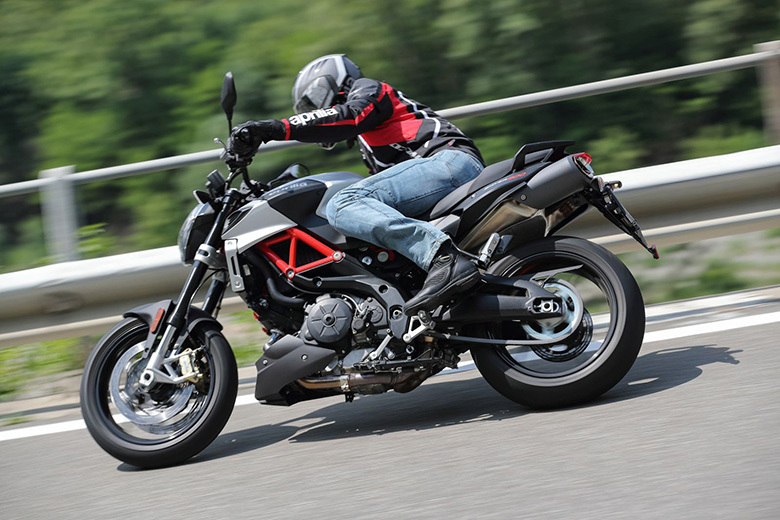 This bike provides more power and better character without compromising the style and comfort. The excellent architecture chassis makes it very attractive. 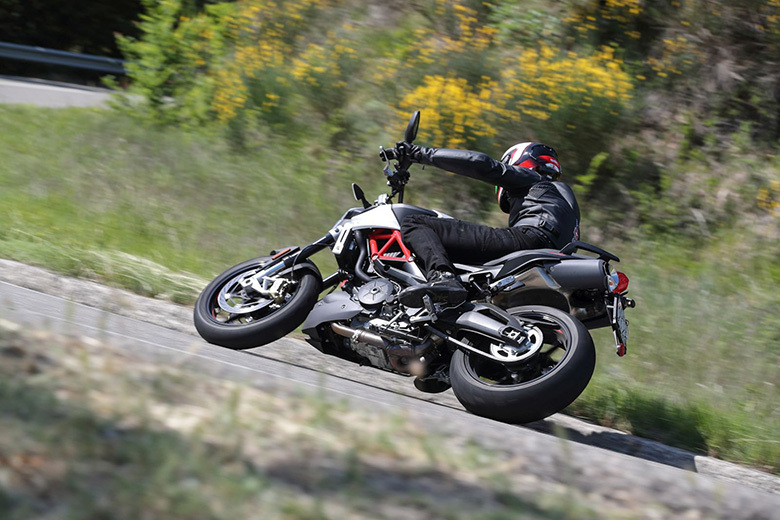 The use of an advanced traction control system has increased the safety for riders so that rider can have a maximum riding pleasure. The new gives the best riding pleasure and touring experience. The new Shiver 900 MY2017 Aprilia Naked Bike comes with the distinctive and aggressive design. The new lateral air intake ducts are carefully positioned to enhance the overall design of front end while the exhaust pipes provide the best rear end design. The fuel tank, side cover, side panels, front mudguard, and tail ensure to have an attractive design. This twin cylinder Shiver features the distinctly sporty characters i.e. aggressive frame, outstanding shocks, new cylinder head covers. Everything is being dominated by red color. This naked bike is available in three color combination i.e. Evolution White, Hi-Tech Silver, and Unconventional Green. The exhaust system has been redesigned while maintaining the position under the saddle, which contributes to the clean side view of the motorcycle. The terminal part of this Naked Aprilia has the silencer, which is now shortened and aimed upward. The bottom of the exhaust system is made by concentric rings in the concave disc. The new Shiver 900 MY2017 Aprilia Naked Bike features the powerful and Euro 4 approved engine providing 900cc displacement. It ensures the best torque in mid-range, better response during acceleration and exiting corners. The rider can easily achieve the torque of 90 Nm at just 6,500 rpm and in order to comply with the legal limits, the power is kept limited to 35 kW. The powerplant has the 90 degrees between two cylinders having four-valve timing per cylinder, dual overhead cam, and liquid cooling. The Pistons have been redesigned with the special anti-friction to achieve the minimum level of friction. The new semi-dry carter internal lubrication circuit works efficiently to reduce the loss of power due to shaking. Due to the use of new injectors, the efficient combustion has been achieved. It allows having the better mixture of fuel and air for efficient consumption and emission. The new exhaust system features the double oxygen sensor and it is being approved by Euro 4. The new automatic decompressor makes it much easy to start the engine even at low temperature. The new latest traction control system provides the best traction while the new electrical system provides the best performance. The clutch components have been redesigned and the load on the clutch has been decreased by 15 percent. The new Shiver 900 MY2017 Aprilia Naked Bike features the best electronic control system and riding support system like in 2017 Aprilia RSV4 RR which has won seven World SBK title. The latest traction control system is adjustable in three different levels or it can be disabled. It is designed to ensure the maximum safety and riding pleasure. It has a dual control in a way that it act on both ignition and the motorized throttle valves making its intervention smooth and easy. This traction system is being combined with the Continental two-channel ABS system. The fully electronic Ride-by-Wire accelerator system comes as standard equipment. It is fully integrated into the throttle grip making is much lighter than others and it provides an accurate management of fuel and air mixture. The injection throttle valve opening is based on numerous parameters like engine speed, air flow, gearbox positions, throttle grip opening, and temperature. The latest electronic management allows the rider to change the engine mapping. The sports setting gives an aggressive throttle response. The touring gives the smooth response while the rain map reduces the power up to 70 HP. Mapping can be easily changed at any time just by pressing the engine start button. The instrument cluster contains the TFT technology display providing the necessary information. 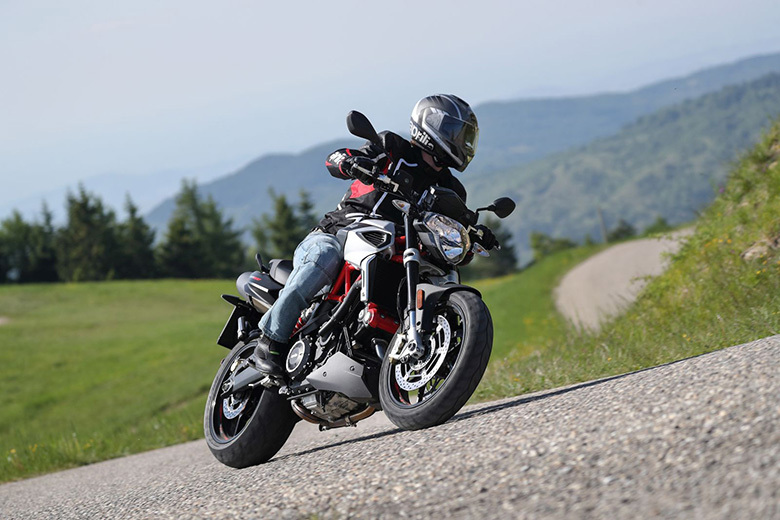 The screen is about 4.3 inches, it is same the one used in 2017 Aprilia Tuono 1100 V4 RR. It has the ability to adapt the background and font color based on the conditions, which light sensor detects. The information displayed includes the selected gear indicator, coolant temperature, selected engine map, speedometer, and clock. 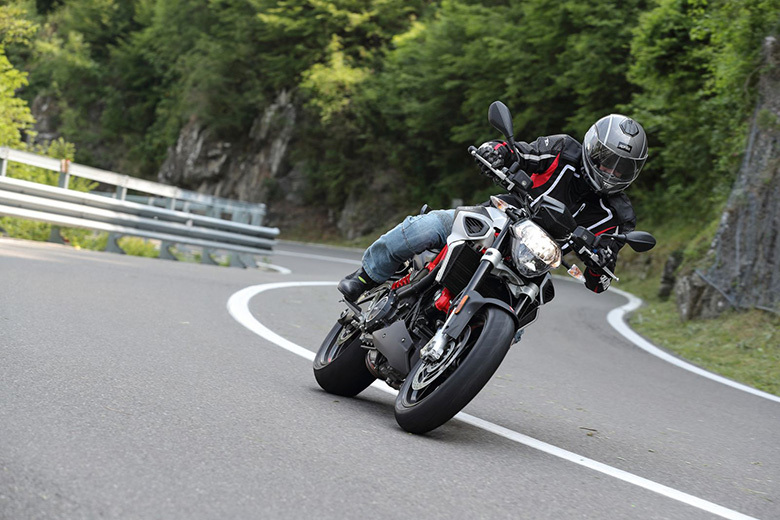 The rider can navigate through the menus like odometer, traction control level etc. The rider can easily establish a connection of smartphone with his bike in this way he can receive the incoming calls on the screen. The new Shiver 900 MY2017 Aprilia Naked Bike features an ultra-fine chassis architecture which is easy to ride plus it helps in the high-performance engine due to its lightweight. It contains the mixed steel trellis and an aluminum plate’s frame which is extremely stiff and compact. It enhances the riding skills due to the provision of best riding position. The trellis upper part in steel tubing is being connected to the widespread aluminum lateral plates with special bolts. This perfect combination provides extremely stiff and lightweight frame. The engine is carefully mounted in the chassis to provide the incredible center of gravity for better handling. The aluminum alloy swingarm has the strong valves at the top and is optimized to withstand shocks. The new Kayaba fork with hydraulics adjustable in extension and spring preload are much lighter than previous models. The radial calipers of 41 mm are being used. The wheel travel of 130 mm ensures the best handling experience in urban and mountain routes. The two steering yoke plates are being made of forged aluminum. 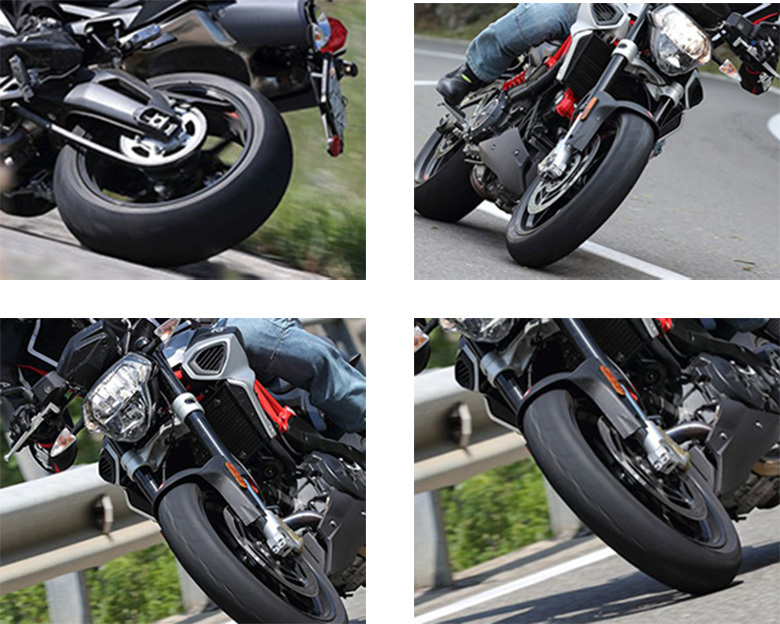 The rear shock absorber is mounted on the side and it is pivoted directly to the swingarm. It is totally adjustable in spring preload and hydraulic rebound. The rear wheel travel is about 130 mm. The all-new sporty three-spoked wheel rims are being used with slightly less weight. This reduction in weight causes the reduction of the gyroscopic effect and great agility for the bike plus it results in an improved suspension. The best and grippy tires are being used with a front of 120/70 and rear of 180/55. The braking system contains the two-channel ABS, which implements the radial calipers to highlight the sportiness of the project. The front disc brake is about 320 mm while the rear disc brake is about 240 mm containing the solo piston caliper. Both of them have metal braided brake lines, which is derived from the aeronautic sector to ensure the best stopping force. There are the wide range of accessories available for Shiver 900 MY2017 Aprilia Naked Bike for both sport and touring riding. Ignition Digital electronic, integrated with an injection. Brakes Front: Dual 320 mm stainless steel floating discs. Radial, four-piston calipers. Metal braided brake hose. Rear: 240 mm stainless steel disc. Single piston caliper. Metal braided brake hose. Continental two-channel ABS system. 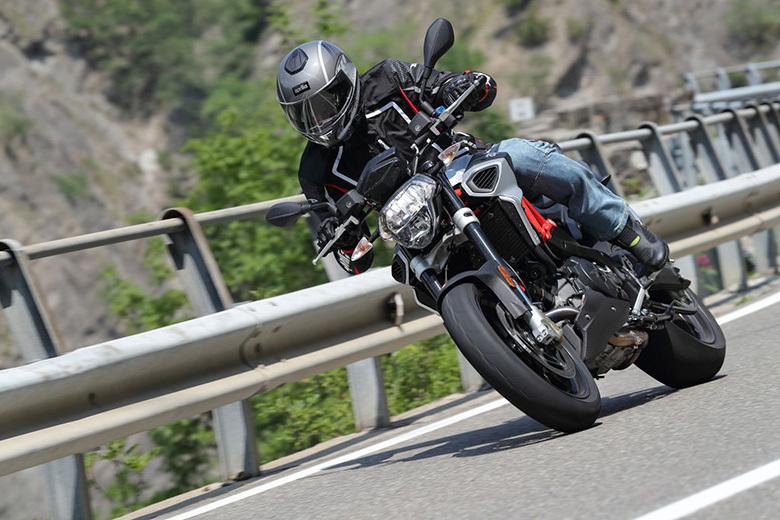 This article provides the full information about the new Shiver 900 MY2017 Aprilia Naked Bike. It is really an impressive bike and Aprilia has made much modification in it to make it even better. The engine gives the best performance moreover rider can change the engine map by just pushing a button. The chassis gives an aggressive look and is dominated by red color. An excellent riding position gives the comfortable riding experience.